The Nexis seems to have "settled down"now, no problems in the first 2 days of the new year. 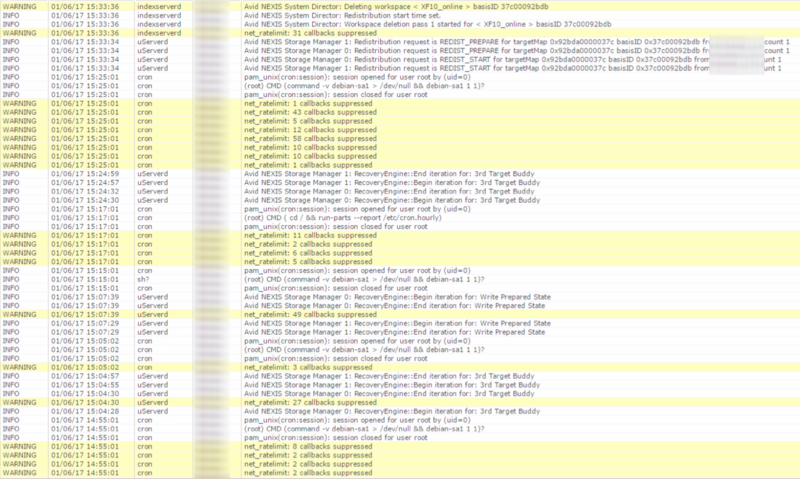 Support says that the many warnings and notifications in the log are "normal". Are you still seeing these with 7.1? 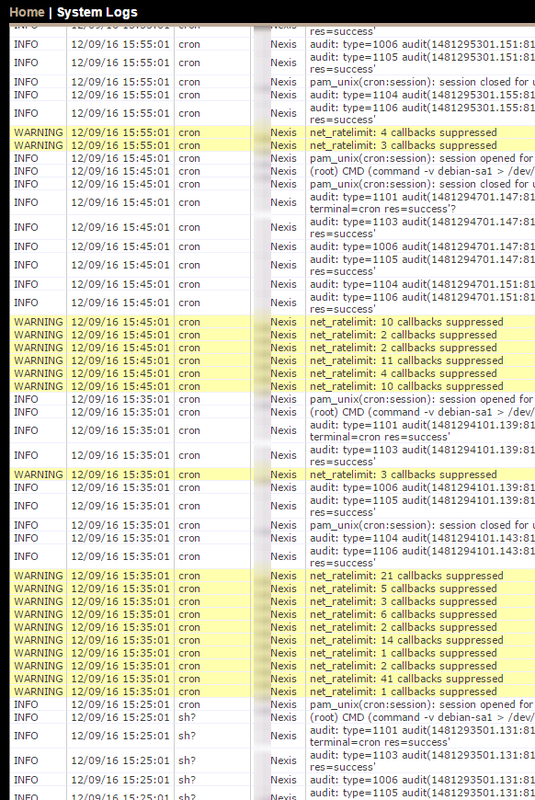 The reason for the error was that NEXIS was writing too many messages to the log and the logging couldn't keep up with the message flood. This was fixed in 7.0.